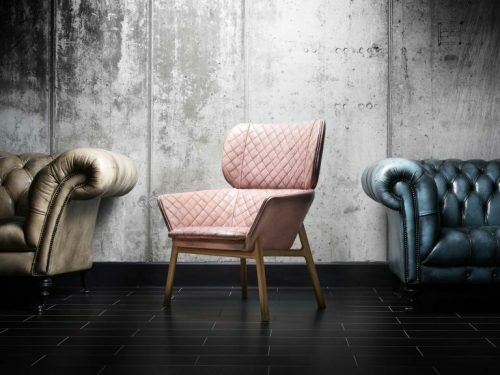 Two years in the making, the new Xavier chair is the result of Fleming & Howland’s first collaboration with British award winning designer David Fox. A former graffiti artist with a background in industrial design, David’s appreciation of heritage products and raw craftsmanship made him the perfect designer to partner with in our bid to continue putting authentic British design on the world map. 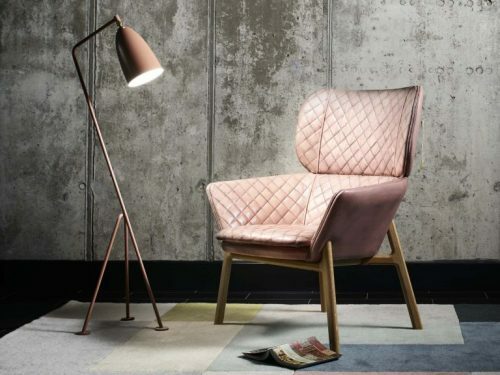 Inspired by the style and stitching of equestrian saddlery, the Xavier is an eye-catching lounge chair designed to look as beautiful today as it will in a 100 years’ time. With an internal frame handcrafted using the Fleming & Howland ateliers, the shape of the product is both embracing and supportive. Perfect for curling up in, a comforting back rest splits the surround and body. 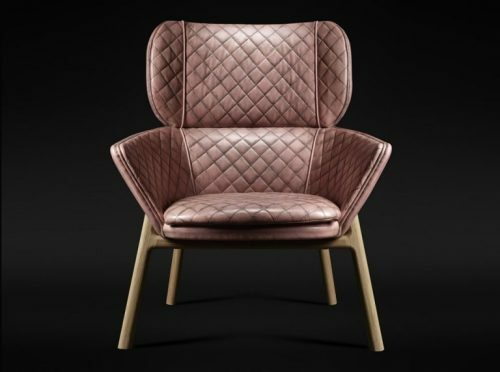 Its seductive curves and elegantly positioned quilted seat and back pay homage to equestrian type saddler, evocative of British country living. The solid wood oval frame intersects the upholstery around the arm and back, while the delicate quilt stitching creates an understated yet striking pattern. Finished in our bespoke hand-coloured leather, the results are undeniably unique. 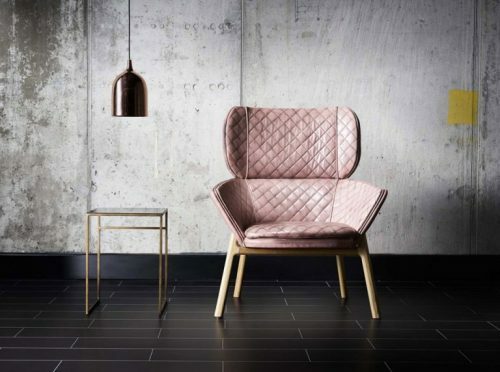 The Xavier chair is the result of Fleming & Howland’s first collaboration with British award winning designer David Fox. As a former graffiti artist with a background in industrial design, David Fox’s appreciation of heritage products and raw craftsmanship has proven he is one of many designers that believe it’s time to put a British furniture brand on the world map. 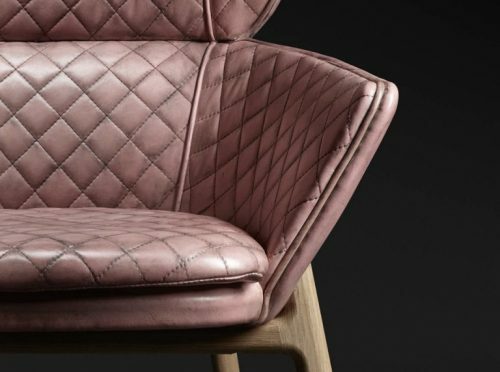 “Fleming and Howland had been making chesterfield sofas since 1780, so when a chance meeting came about to design something for the brand, I welcomed the challenge. From the outset it was important to understand the brand and what it represented to its customers. This took many initial meetings with company owner Paul Fleming, further research as to other makers in this sector, and European companies that were beginning to support this vintage style. Fleming & Howland have a unique hand dying process, applied to each product. Each piece is almost a painting in itself by a true artisan. I spent a long time watching and questioning this process. It is incredibly labour intensive but you can see the stunning results. “With a company so steeped in heritage and tradition, from a design perspective the new product had to pay respect to the past, but gently progress more modern elements in a way that the customers would not see it as a departure from what the company is known for. The historical deep buttoning was replaced by a more modern quilt, a texture that the hand dyed leather would cling to. The evolution of the shape and its materials had to be an aesthetic that wasn’t scary, something that old and young could identify with, as the customer base is spread over a wide range of ages and countries. The Xavier chair is currently available to back order with production starting March 2017. For prices, visit the Xavier page here.